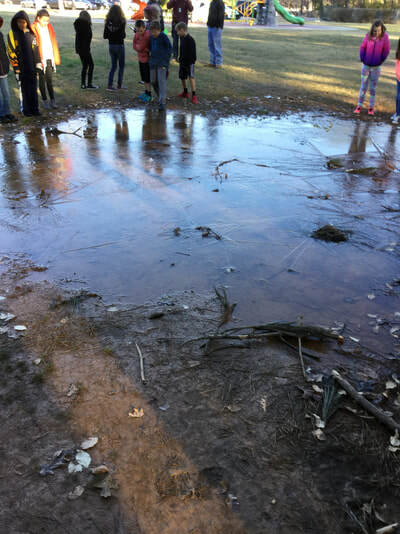 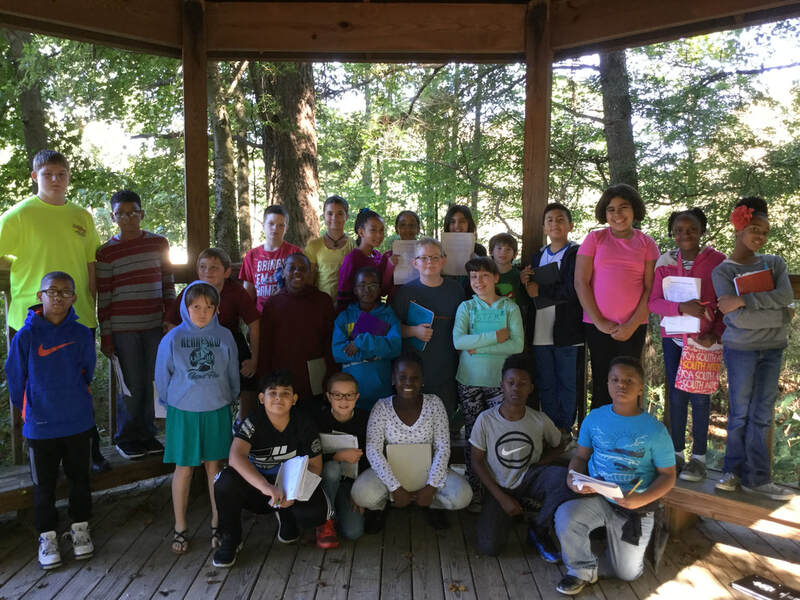 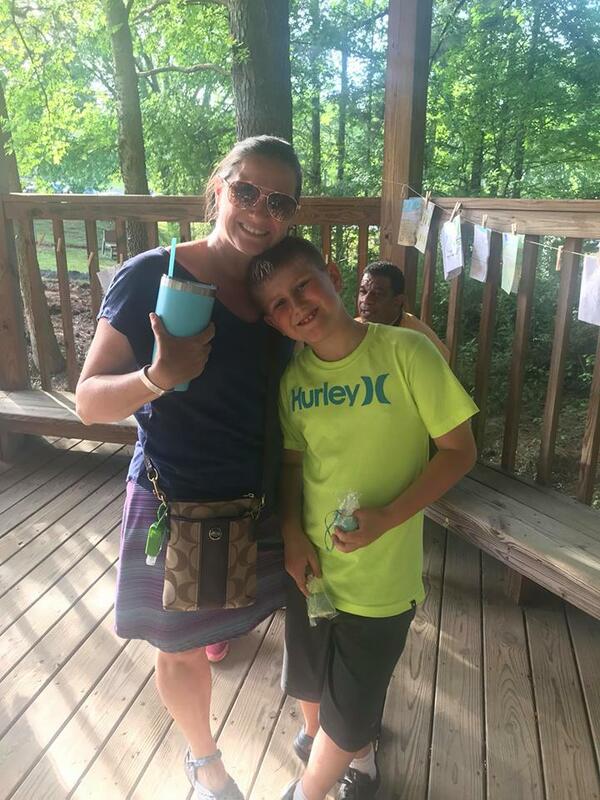 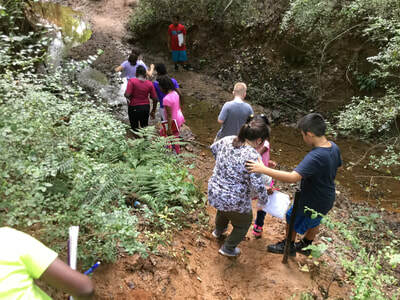 OVERVIEW: Fifth grade students are engaged in a year-long project studying the water caused erosion at Big Shanty's campus. 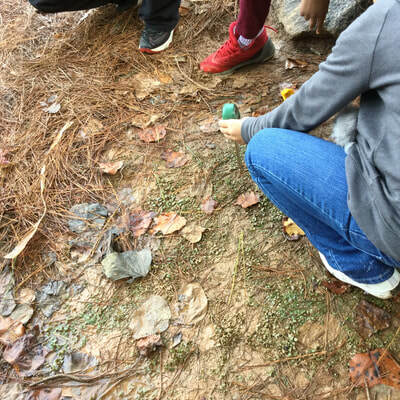 Each class identified one spot to observe throughout the year creating a 100x chart, taking measurements of air and ground temperatures, lux (illumination), altitude; and percent soil, vegetation, and rock. 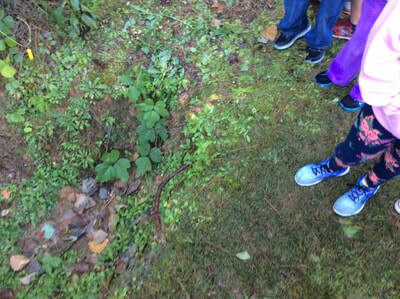 Then they are researching solutions to the specific problem/s at their spot and will take steps to control the erosion. 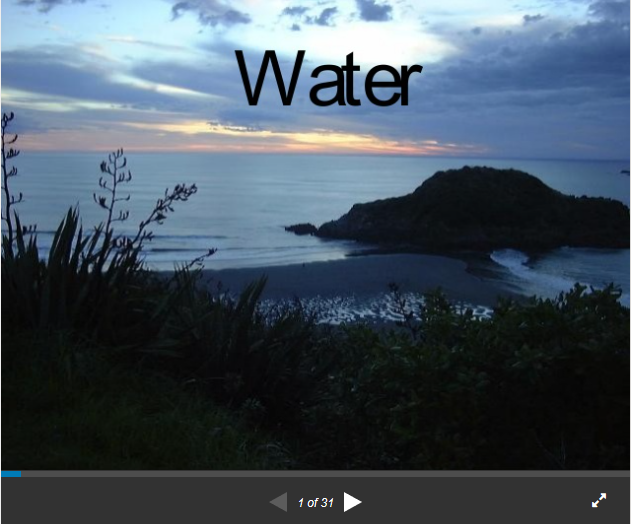 The Watershed Wonders powerpoint (see below) was shared with all classes and conversations about our goal were discussed. 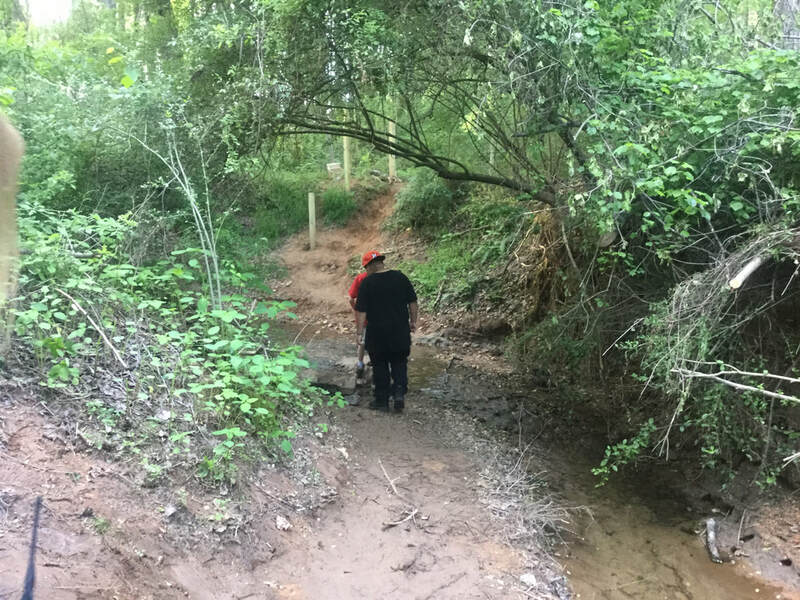 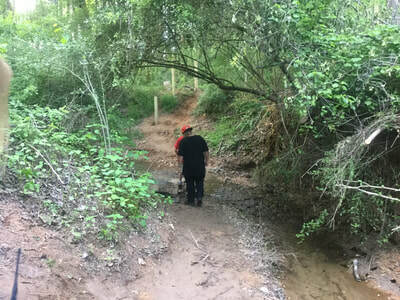 Wednesday are identified as, "Watershed Wednesdays" a time that classes will go out and monitor a particular spot on the campus to observe how it changes (or doesn't) due to water erosion and seasonally. 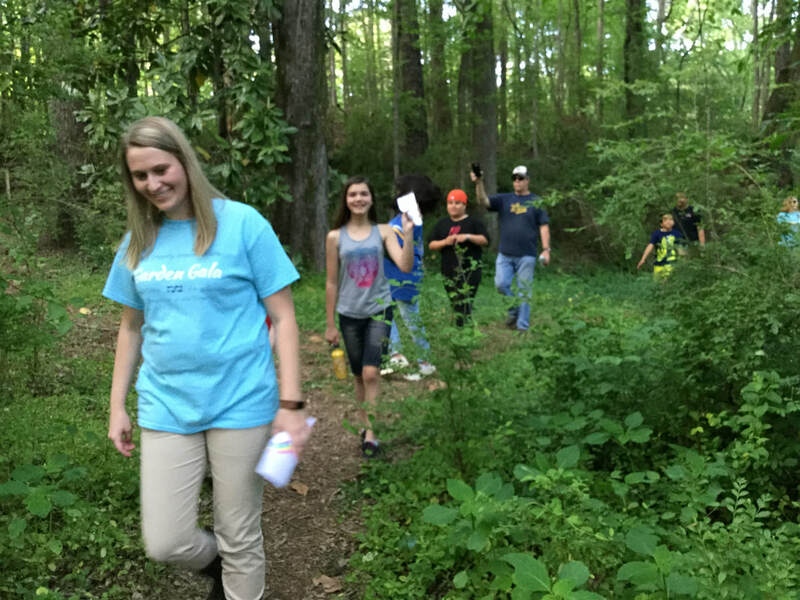 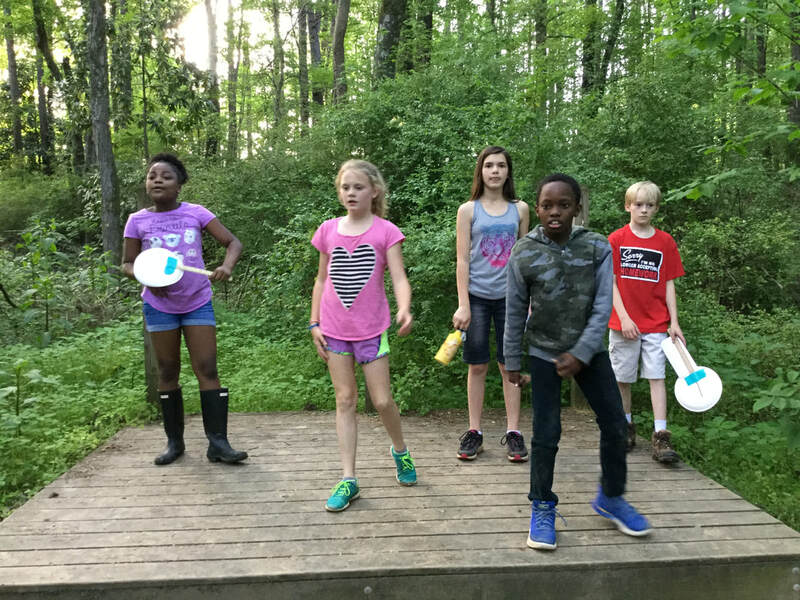 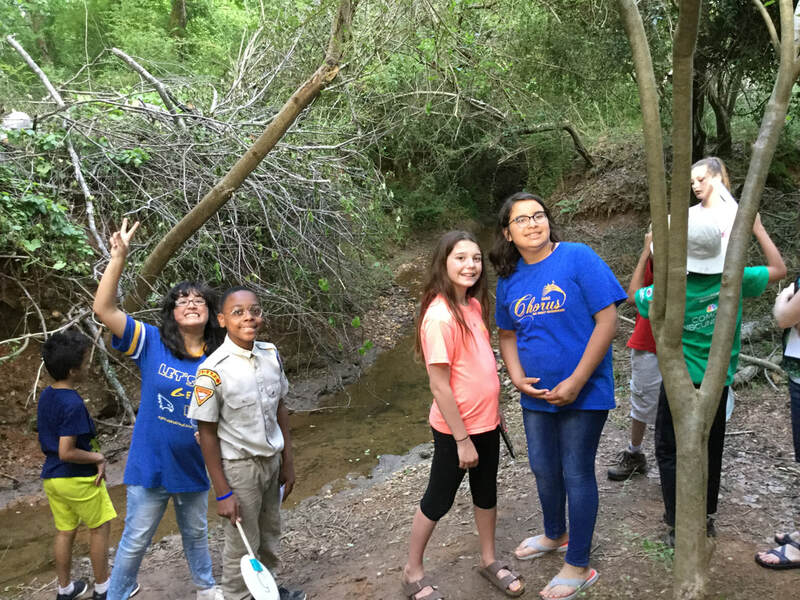 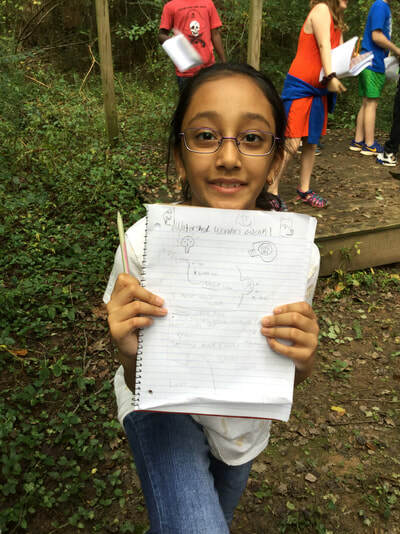 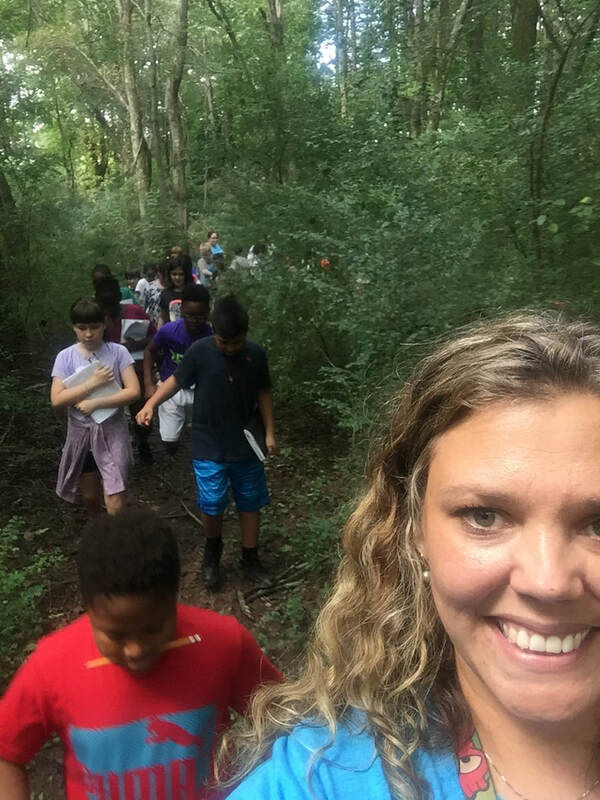 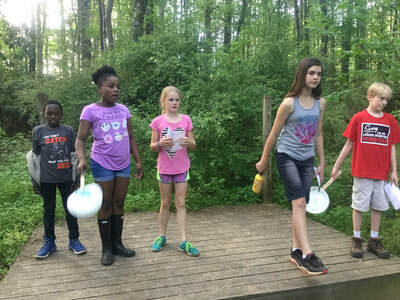 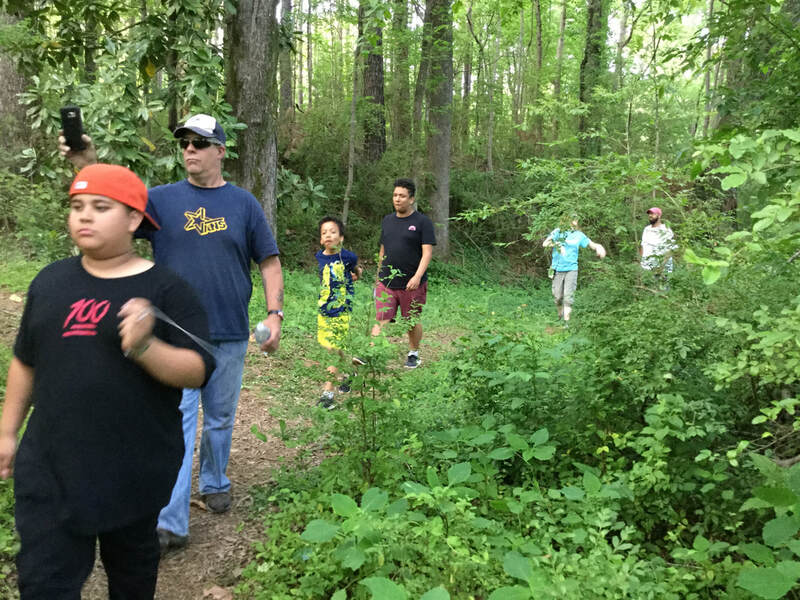 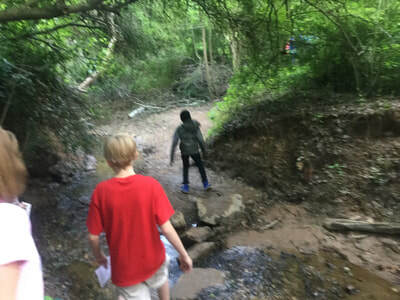 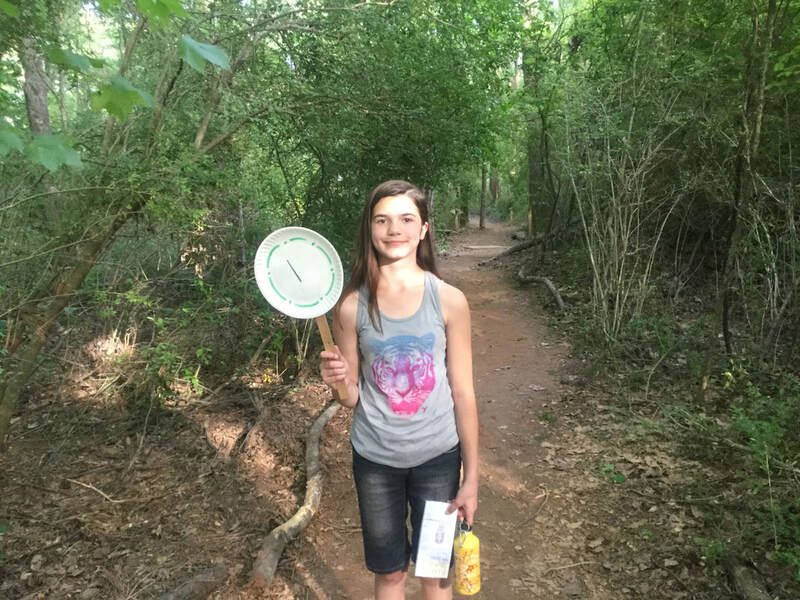 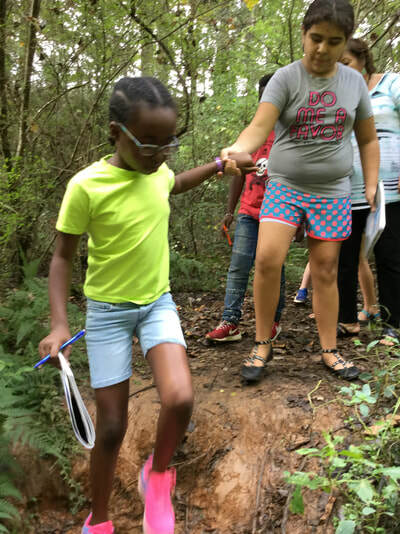 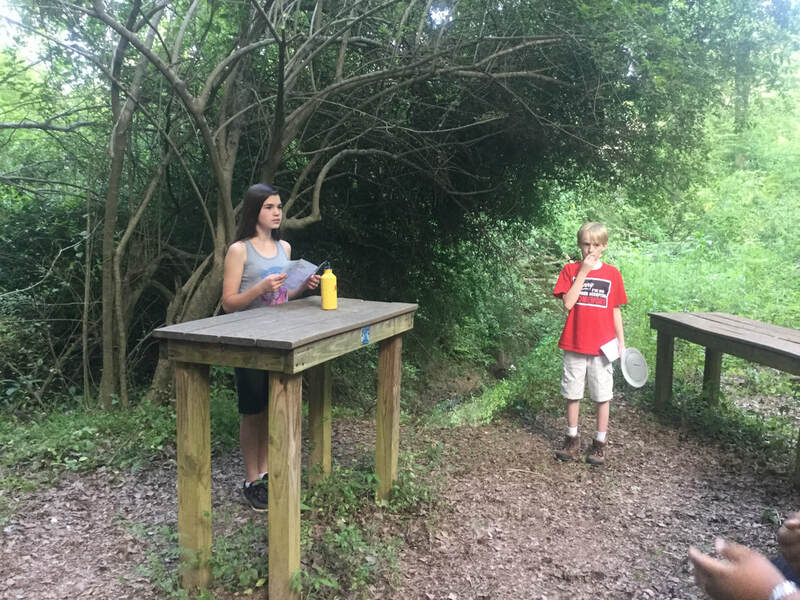 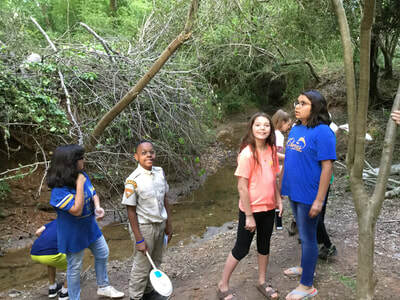 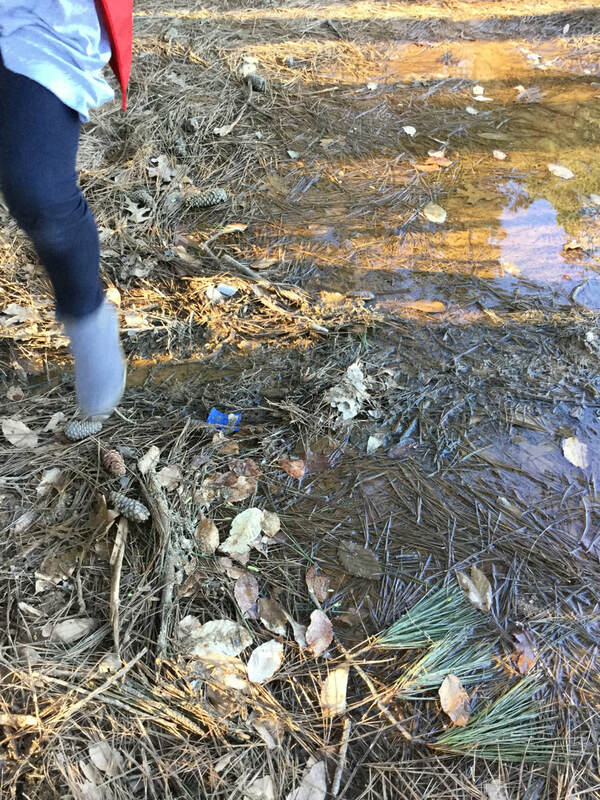 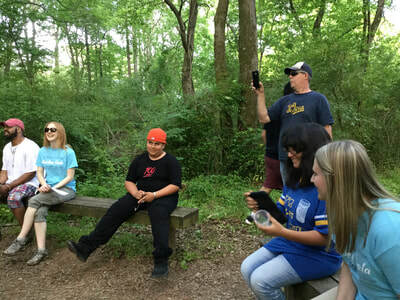 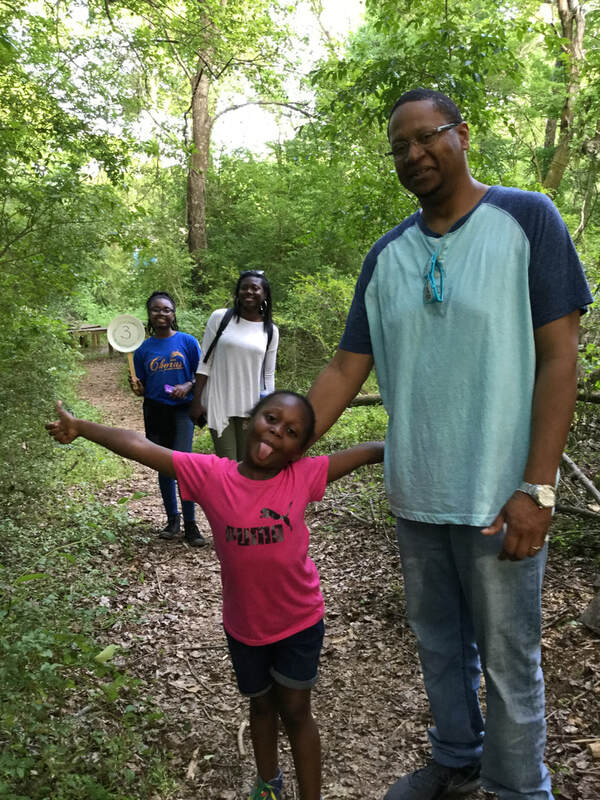 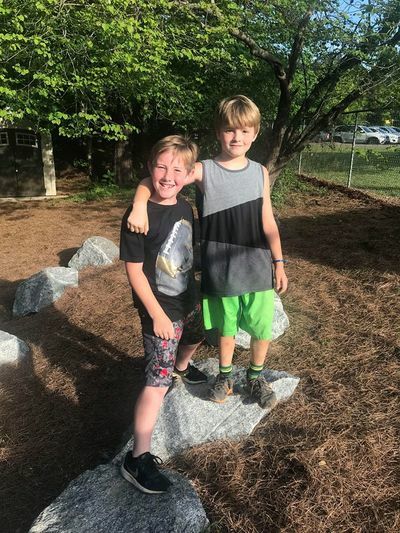 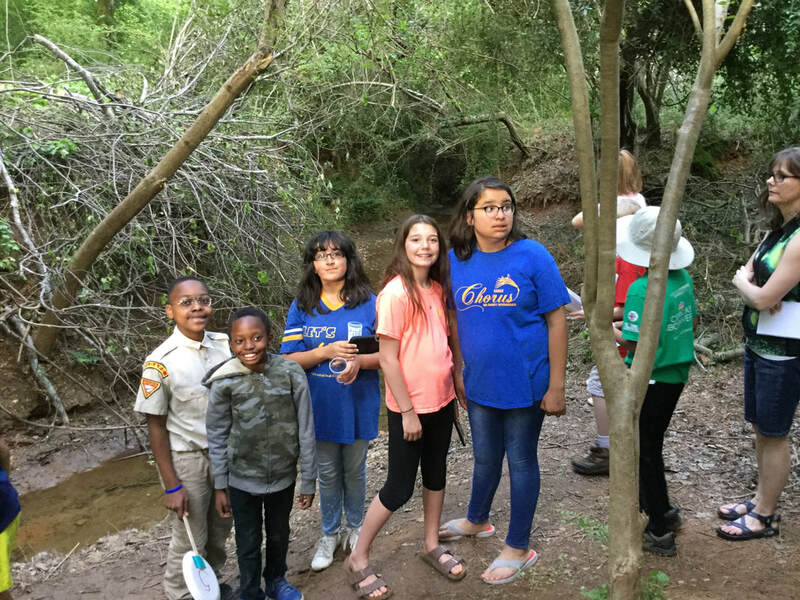 ​Each class adopted a location on campus to monitor for water movement throughout the year that ultimately ends up in the unnamed creek. 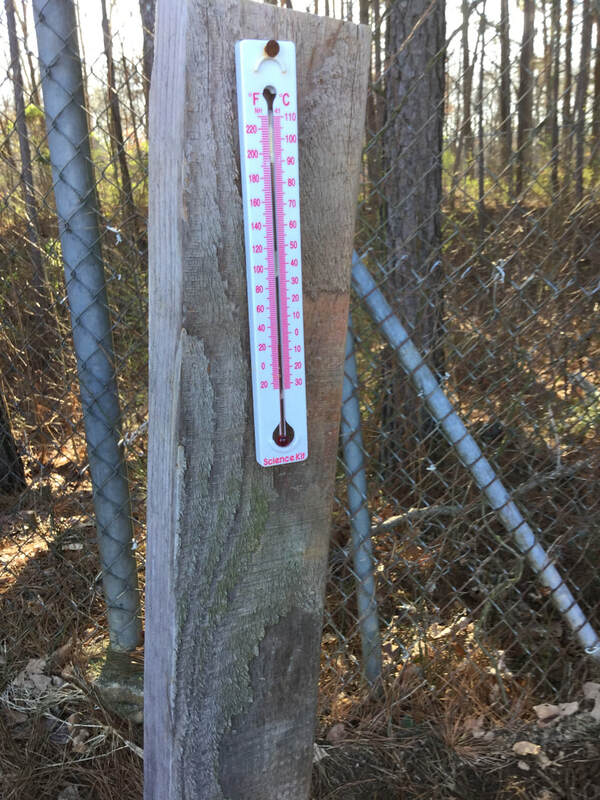 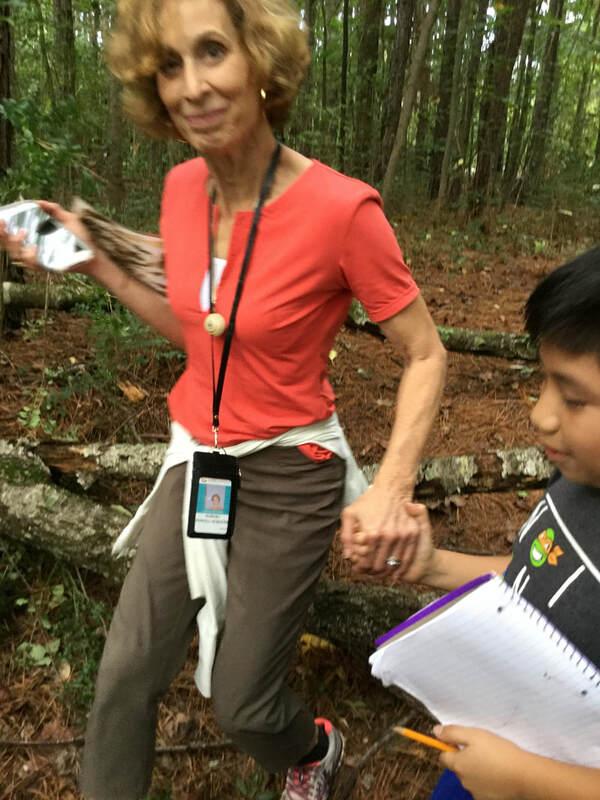 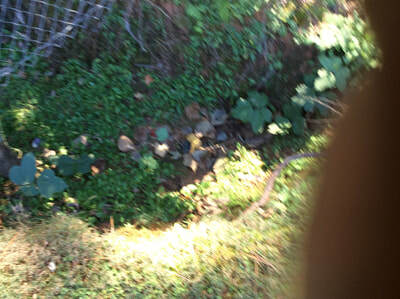 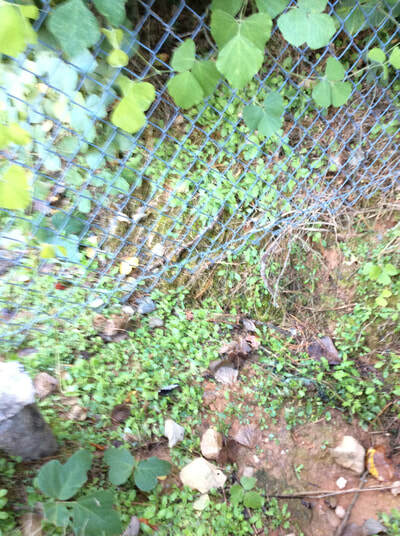 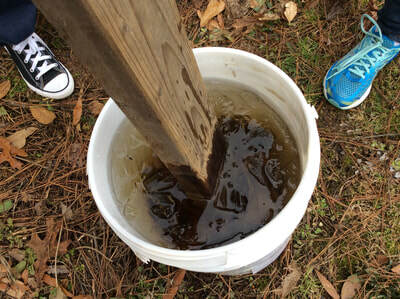 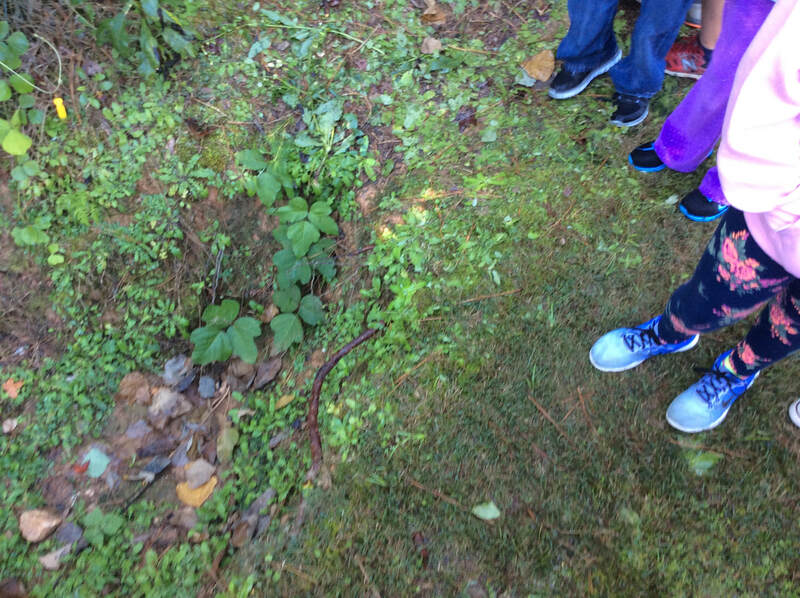 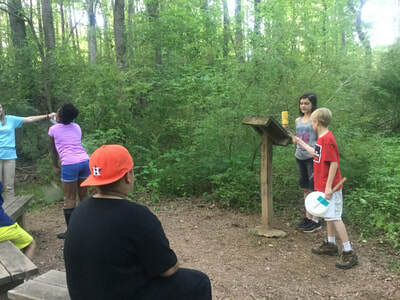 Students were trained in using data collection tools and they began collecting pictures of visible erosion and pollutants, taking the ground temperature, lux (shady vs non shady), finding/recording evidence of rain in the past 24 hours, recording time of visit, evidence of living organisms, and whether there are seasonal changes. 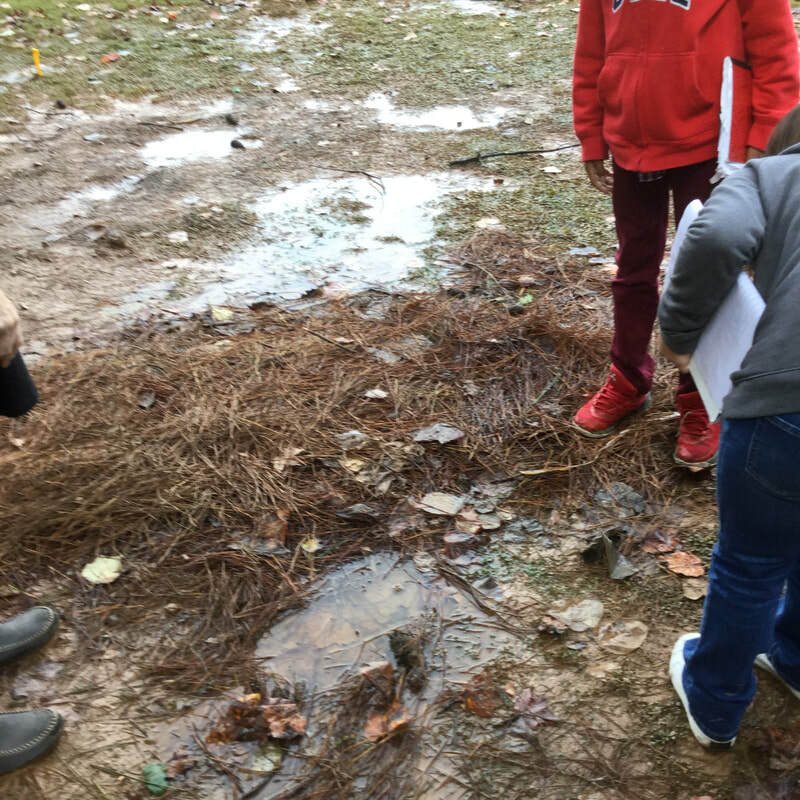 Classes are taught about constructive and destructive force with particular attention to water erosion. On a weekly basis (Watershed Wednesdays) students are observing their designed area and are collecting data. 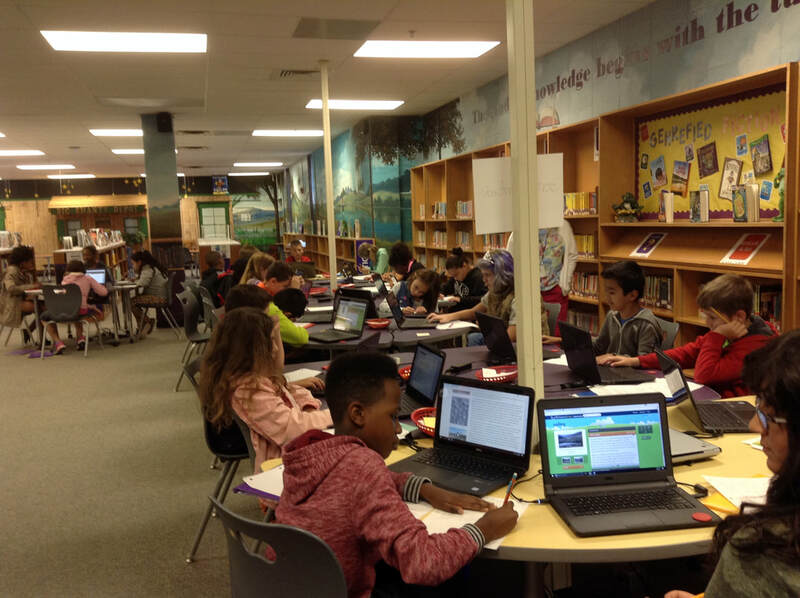 In the Innovation Lab specials rotation, students are introduced the Watershed concept and are defining terms using the ProjectWET website. 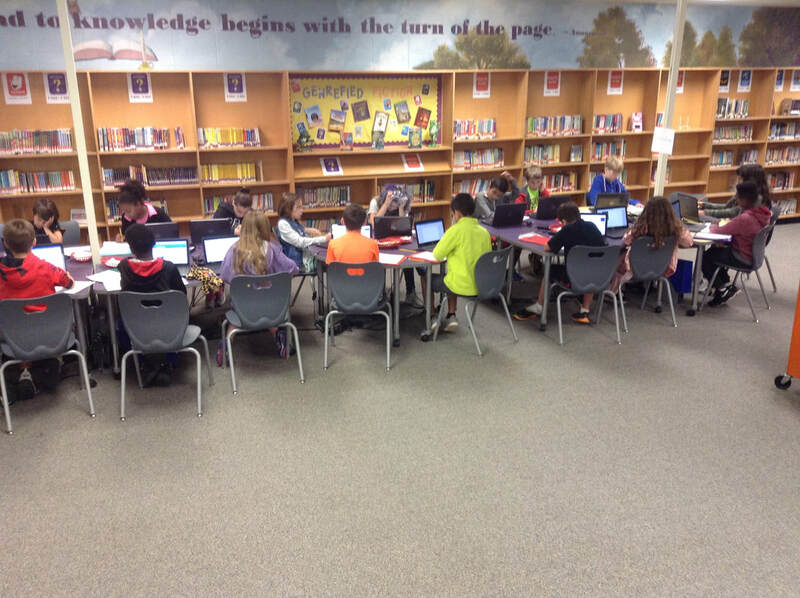 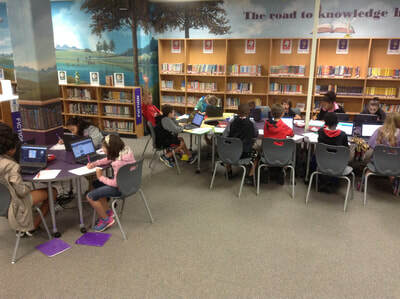 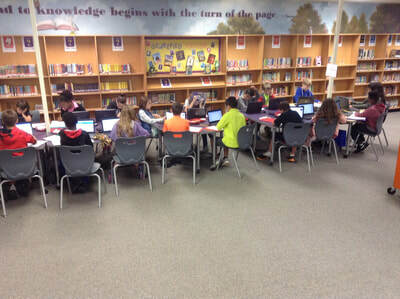 ​Student identify the problems at their locations and start brainstorming ideas about what is happening and why. 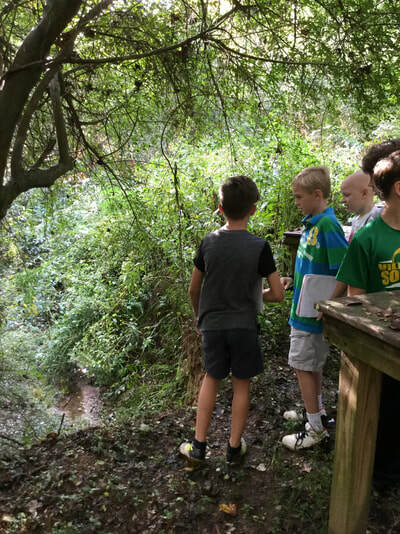 Two classes Skype with an EPA expert to gain insight into how best to stop the erosion at the creek on the school's Nature Trail. 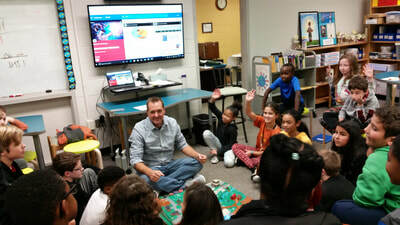 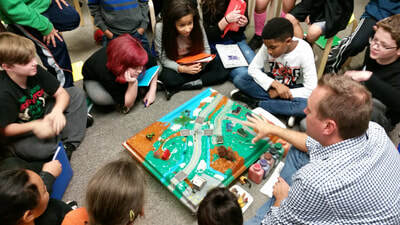 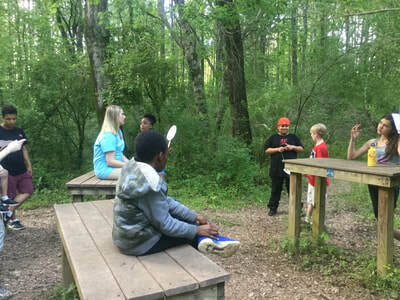 In the Learning Commons classes begin conducting research using the Destiny Collection, "Watershed Wonders: EROSION CONTROL" Another group meets with Cobb County School District's maintenance supervisor regarding the need for analysis and erosion control near fifth grade playground. Based on student research and input from experts students along with community members begin to implement plans to mitigate the problem/s found at their designated site. 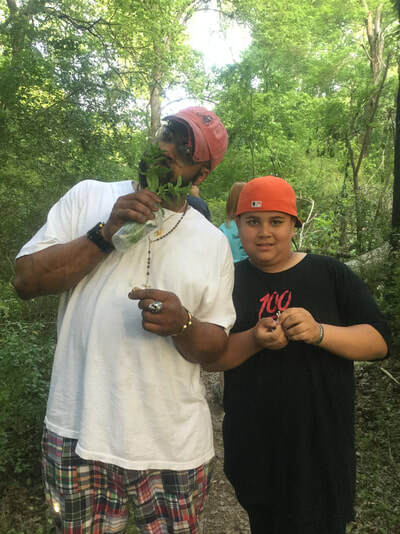 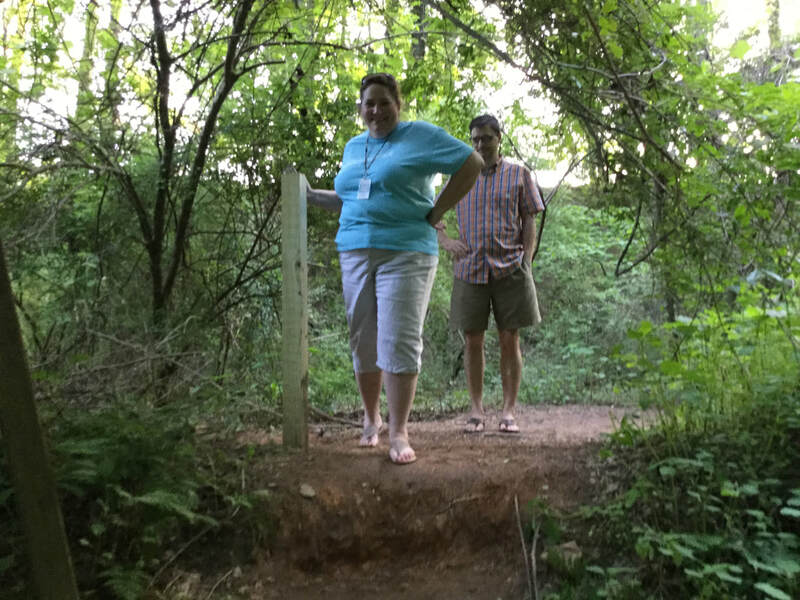 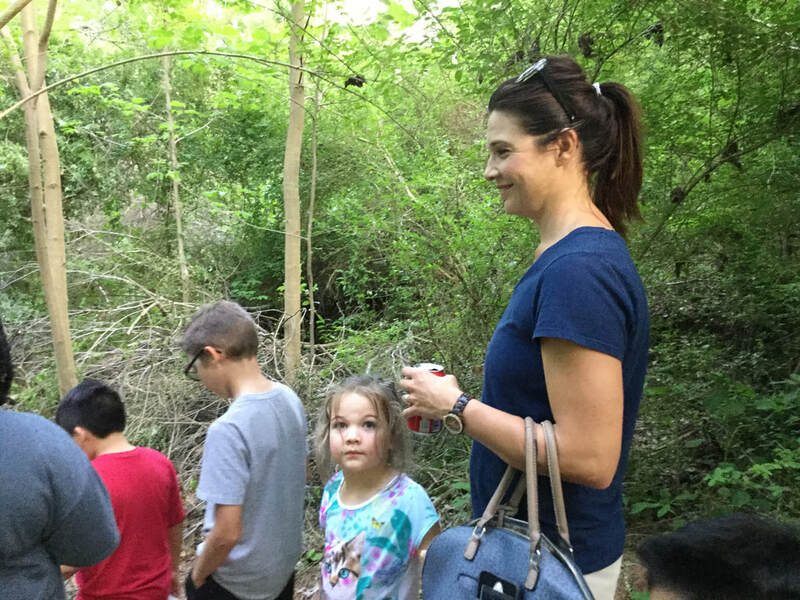 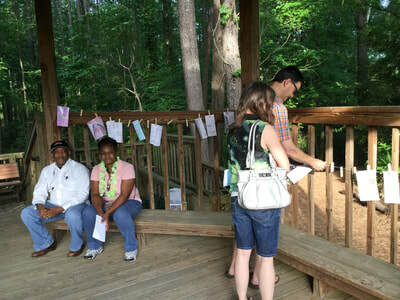 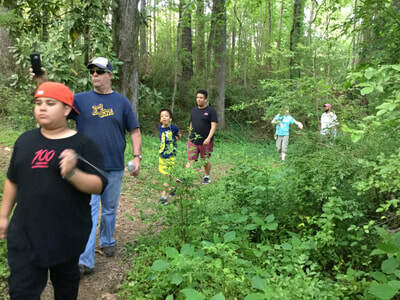 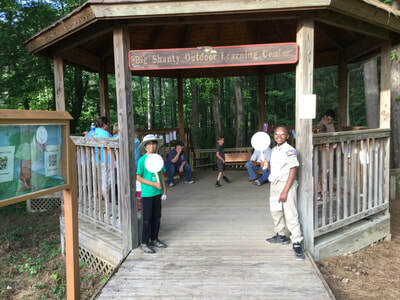 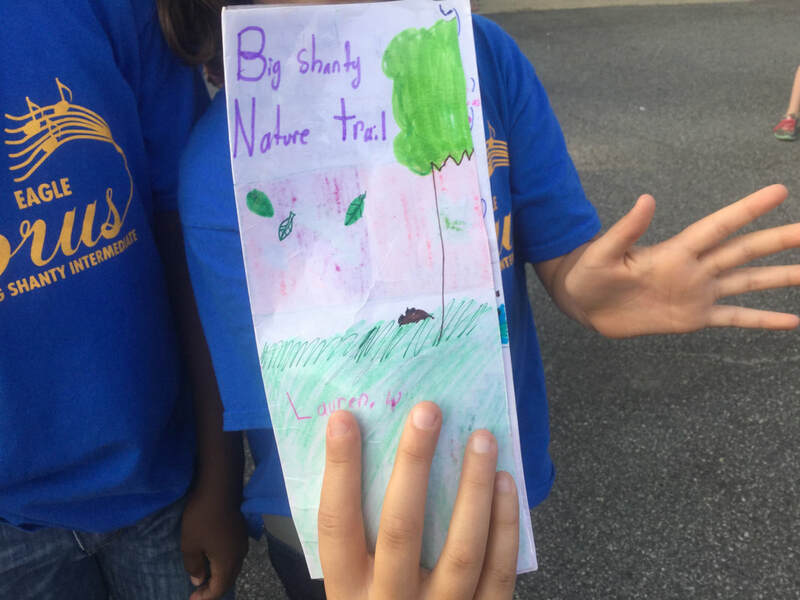 Also, at the Garden Gala (May 3rd) the students hosted tours of the Big Shanty Nature Trail and creek.